Two churches from very different parts of the country teamed up recently to work with the Fuller Center Disaster ReBuilders and help residents in the Houston area who are still dealing with the effects of this past summer’s flooding caused by Hurricane Harvey. 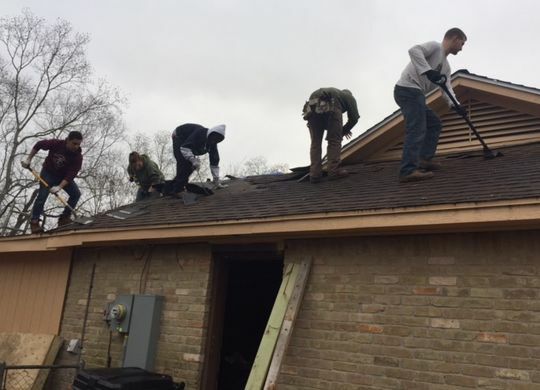 Volunteers from Orchard Park Presbyterian Church of Orchard Park, N.Y., and Auburn United Methodist Church of Auburn, Ala., worked on five homes during the week of service. Orchard Park TV station WIVB reports on the work here, and you can view a slideshow below shared by Orchard Park Presbyterian. If you would like to volunteer with the Disaster ReBuilders, please click here.